Heeft u een vraag voor Celtis Resort? Gunstig gelegen in Cebu, is het Celtis Resort een goede uitvalsbasis om deze levendige stad te ontdekken. Slechts 145.4 Km verwijderd van het stadscentrum, is dit een goede plek voor gasten om te genieten van de attracties en activiteiten in de stad. Met de belangrijkste attracties van de stad - zoals Bounty Beach, Evolution Diving, Dakit-Dakit Coral Reef - binnen handbereik, zullen bezoekers van het hotel de locatie waarderen. Profiteer van de ongeëvenaarde dienstverlening en voorzieningen in dit hotel in Cebu. Enkele voorbeelden van faciliteiten die dit hotel biedt zijn gratis wi-fi in alle kamers, roomservice, vervoer van/naar luchthaven, kinderopvang, familiekamer. Treed binnen in één van de 10 uitnodigende kamers en ontvlucht de dagelijkse stress met een breed scala aan voorzieningen, zoals internet (draadloos), rookvrije kamers, airconditioning, balkon/terras, ventilator. Het hotel biedt fantastische faciliteiten, inclusief massage, tuin, watersport, zodat u kunt onthaasten na een bezige dag in de stad. 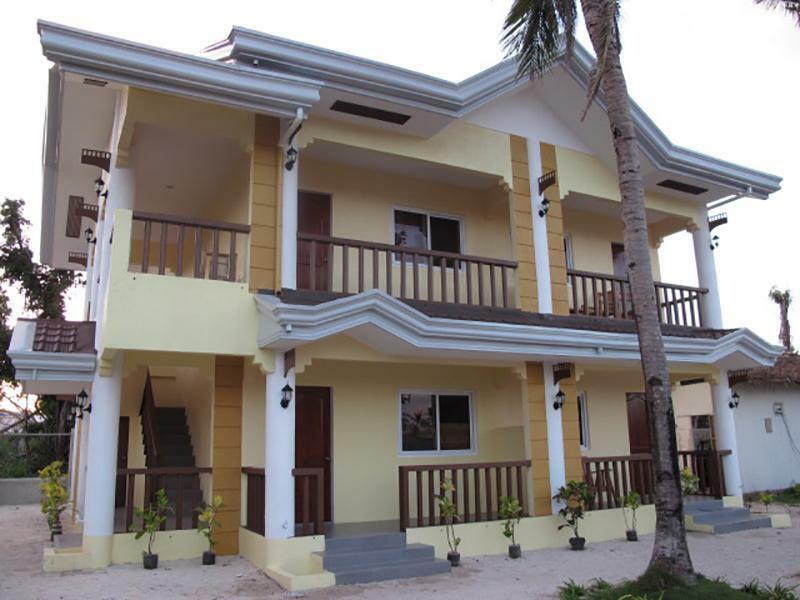 Het Celtis Resort is een slimme keuze voor mensen die reizen naar Cebu: een ontspannen verblijf is gegarandeerd. Werknemers zijn slecht verstaanbaar en bot. Verder bedden met gaten, insecten en geen airco. Midden op het eiland waar geen zuchtje wind is. Geen goede keuze. The place is just 5 minutes walk from the beach and is near the market where you can buy stuff such as food and some necessities. They have really good wifi which is the main reason we stayed here as I need to do some work. This may be the only place the provides stable internet connection as it’s a small island. The staff are really nice and accommodating. Right by the market, and still peaceful at night. Wifi had issues, but they let me use their private network. Ac makes noise, but most on the Island do. Would stay again If I come back. Rooms are large. Shower and toilet are separate room, which was a nice surprise as most showers are in the same room than the toilet and everything gets wet. Location is good. They do not offer any sort of food or drinks (not even water bottles in the room or snacks) but everything is walking distance, so it's easy to go out. The staff is friendly and accommodating. The hotel is a 5-10 minute walk from the pier. The hotel staff were friendly and showed me to my room. The room is very spacious and clean. The aircon works well. Room is basic but fine. They have a curfew for guests coming to see you and all have to leave by 22:00. They close the front gate after 22:00 but not lock so you can still come to your room after a night out or to go to your early morning dive. There's hammocks around the ground to chill in and the wifi at the hotel is good. I had one of the staff come into my room whilst I was asleep during late afternoon which was strange, they said it was to clean my room but the time they came was after 16:00. Overall I liked my stay and would go back. There's a market within a minute walk and the beach is 5 minutes walk away but you need to know the small side roads to get there (can ask the locals the way). Room was nice, spacious and clean. Modern bathroom and a safety box provided. Wifi worked and we slept well. We just had a fan and that was sufficient. Our room adjoined to another, there was a little noise from that. We booked on Agoda but when we wanted to extend the staff told us that the owner now wanted cash rather than payment via Agoda or Paypal so we had to use our dwindling amount of cash - frustrating! We needed a place to stay at the last minute over the New Year's holiday, and were glad we selected this one. The room was very clean and was more spacious than we expected. It was a bit difficult to find at first, but other than that, our stay was great! it states on agoda that a breakfast is included this is not the case,as I asked about it and was told none of the rooms come with breakfast! I only book accommodation that includes breakfast because it's saves walking round in the morning looking for somewhere to eat. I'm staying 5 nights with my girlfriend so that 10 breakfasts we now have to buy. Also if my partner wasn't ill on arrival we would have left. on the plus side the room is nice and clean. The place is quiet and nice. a bit of a walk to the beach front but it was fine. Very near to the Market where you can buy affordable meals. The couple who were caretakers were very accommodating and nice. The room is clean, air conditioning was cold, and the hot shower worked perfectly. The friendly staff also straightened up my room while I was away and replaced towels and replenished the toilet paper. Wi-Fi is pretty strong, though it would occasionally stop working. It's a bit far from the beach but quiet so you'll have no trouble sleeping. Stores and restaurants are just a few steps away. We stayed in this resort for 1 night. When we arrived we we’re escorted by some locals going to the resort. It’s far from the beach and you can get lost if there’s no one there to guide you. I guess, you can find more cheaper rooms near the beach area. It’s not worth the price. The staff’s are not that accomodating. 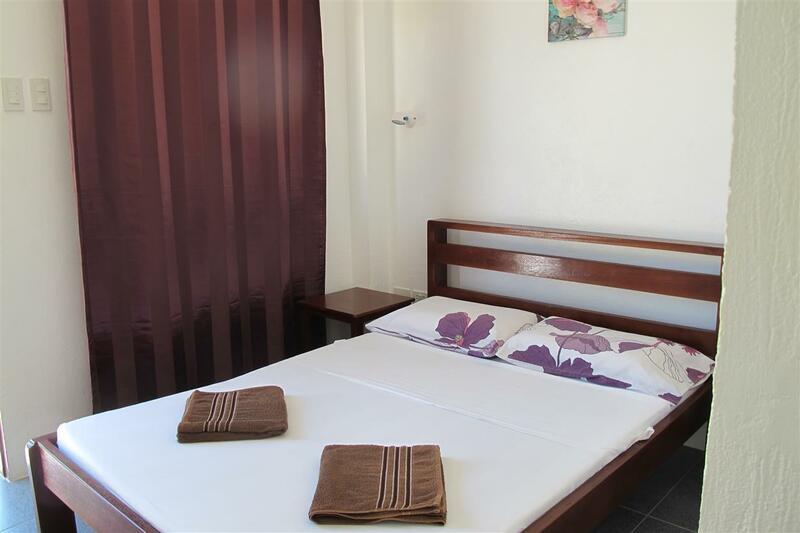 Very clean and comfortable room, excellent wifi, inexpensive motorbike rental on the premise, good breakfast. Very friendly people running the place, well maintained. 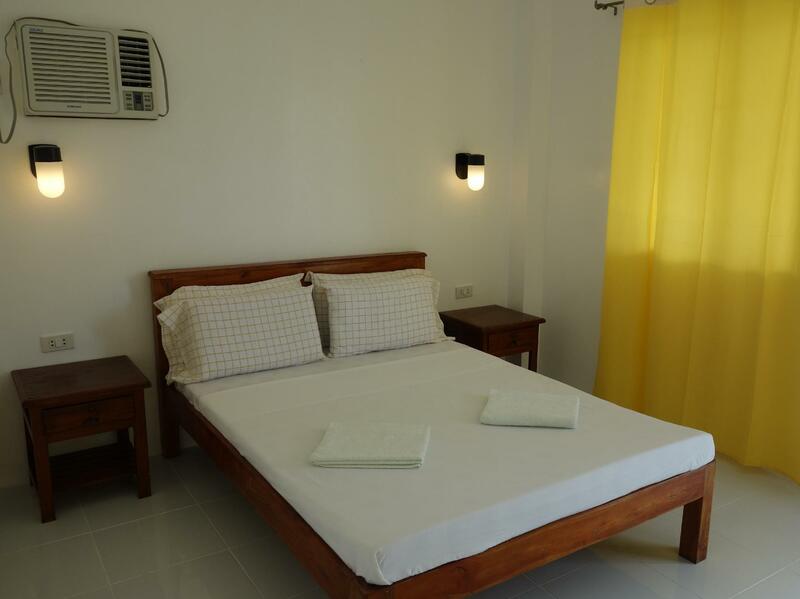 Located near the market, it's a very nice place with comfortable rooms. Just don't expect beach front, the place is very nice. Celtis is hard to find especially if you arrive at dusk like we did due to our bus breaking down en route from Cebu. The paths on the Island are narrow in some parts and it is kind of like a maze. When we arrived we were given a warm welcome. Our room was very clean and spacious. We had a fan which was a bit noisy because the first setting didn't work. Also our door was difficult to open and close and just needs to be sanded down where it is sticking. Had to climb out of the window in the morning to shoulder the door open from the outside! There is not much to do if the weather is not good. We enjoy snorkelling but it was not particularly good off the Island. We are currently in Moalboal. Much better here for snorkelling right off the beach and nightlife. Price of accommodation and restaurants is also better.